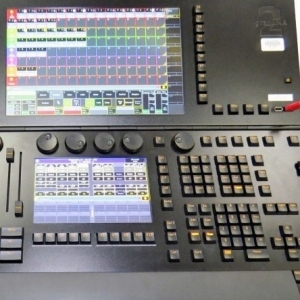 The Hog 4 is the flagship in our newest range of consoles. 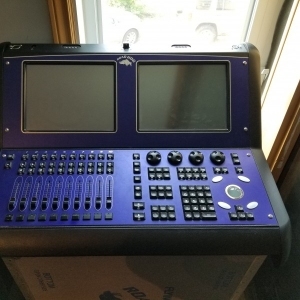 Replacing the much loved Wholehog III, it embraces the latest technology, while retaining the Hogs familiar control surface. 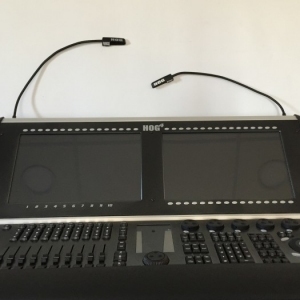 Users will be able to walk up to the Hog 4 and start programming without having to learn a whole new interface. 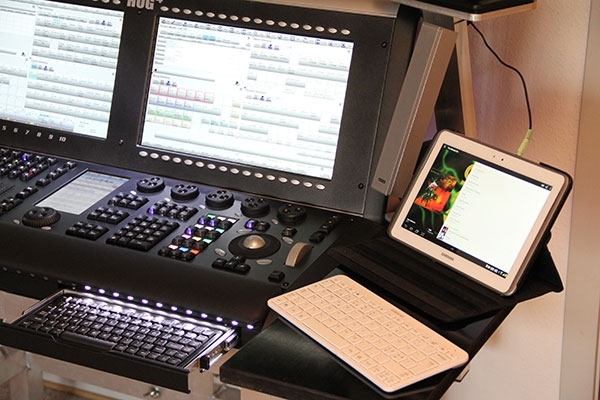 The new encoders, jog shuttle wheel, lcd keys, motorized faders and integrated keyboard all serve to enhance this experience, making the Hog 4 completely customizable. 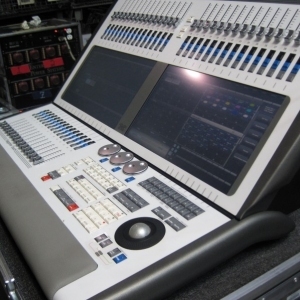 You can now have virtually all the most important attributes to hand at any time. 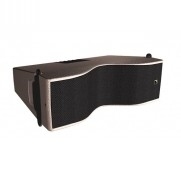 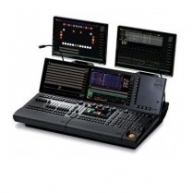 The console provides three monitor outputs, MIDI input and output ports, 8 USB ports, 2 Fast Ethernet ports on a rugged Neutrik Ethercon connector allowing you total flexibility. 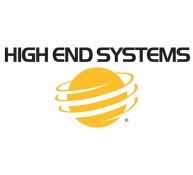 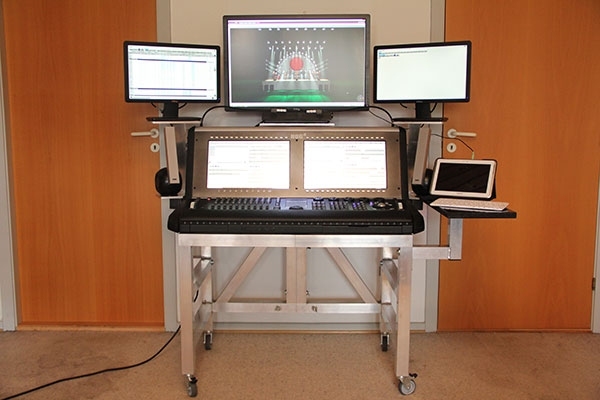 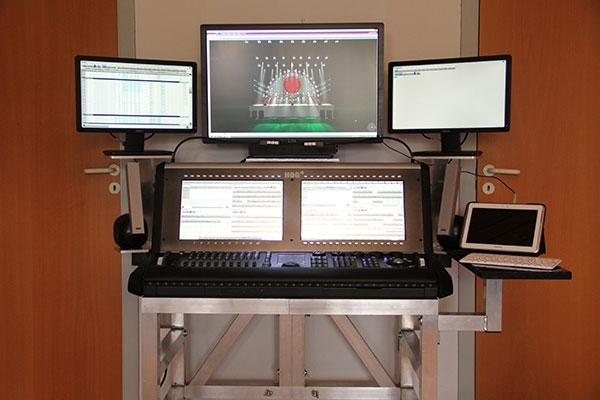 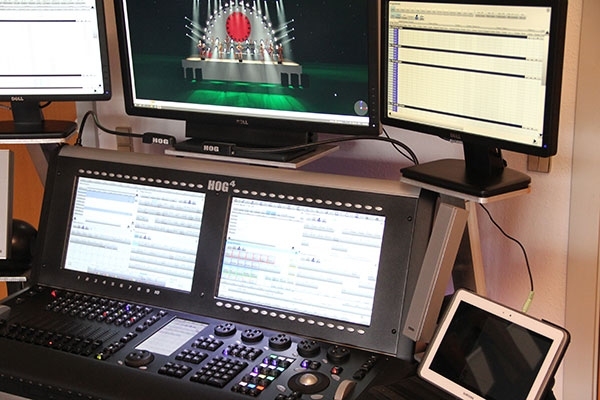 Youre prepared for everything from the smallest industrial job requiring a single console to the largest stadium show, theme park installation or Broadway spectacular requiring a multi console setup with full network backups! 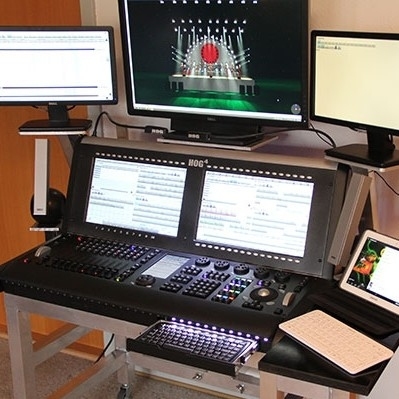 Preserve show data on a solid state hard disk drive as well as with USB drives and CD/DVD-ROMs, or alternatively connect directly to a network drive to store your show files remotely. 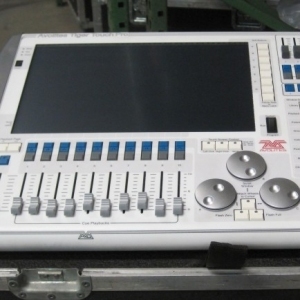 Hog 4 - In Mint Condition and previous used on demos. 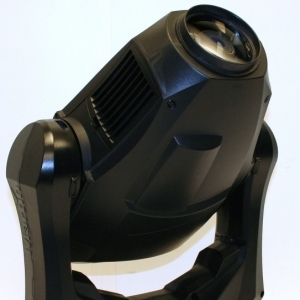 Extremely clean with 30 day protected warranty. 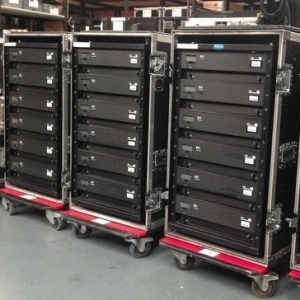 Hog 4 - Corporate used Hog 4 with flight case in excellent condition. 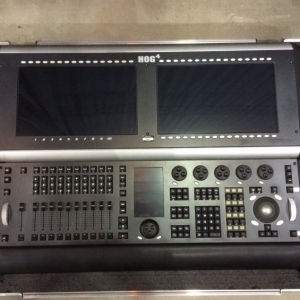 Hog 4 - Like new Hog 4 from 2013. 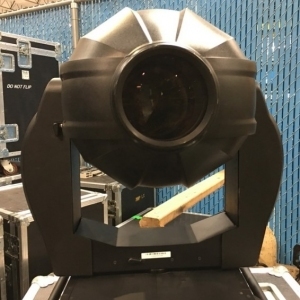 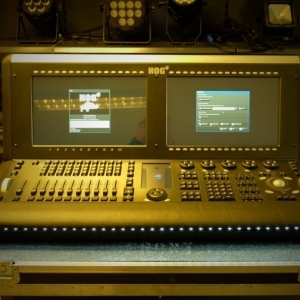 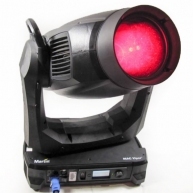 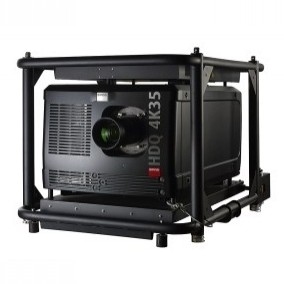 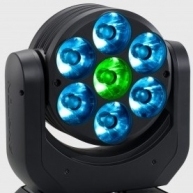 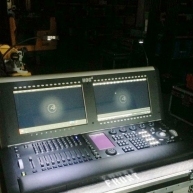 Hog 4 - Corporate used Hog 4 with flight case and DMX Processor 8000 in excellent condition. 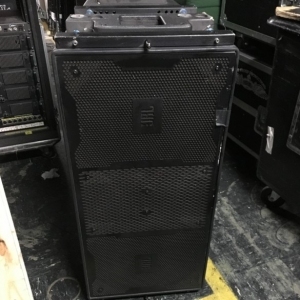 Hog 4 - Factory Refurbished Hog 4 with flight case in mint condition.